What mom doesn’t like nap time? Nap time has began to be my favorite time of the day! That’s the time of day I can get things done around the house, sit on the couch while scrolling through Facebook or get blogging done, and simply enjoy the peace and quiet of no kids running around and screaming. Don’t let me fool you though, I often don’t get things done around the house or scroll through Facebook and blog, I decide to take a nap too! Nap time has been a very important time in my life to make it through the day. Some days I just can’t keep my eyes open or think clearly so what is better than napping when the kids nap…that’s right…nothing! I use to not enjoy nap time and have grown to appreciate it. When I was younger my mom use to put me in her bed and lay down with me for nap time; however, my brother would get to stay awake and play. Why couldn’t I stay up too? I hated taking naps! I would lay there with my eyes closed and wait for my mom to fall asleep, then I would quietly sneak out of the room and find my brother so I could play…I know sneaky, right? It worked though, nap times were awful! Now dealing with three toddlers all day, I count down the hours until nap time. The sweet moment when the clock hits that special number 12. At 12 that means lunch then naps, and if I’m tired too then I embrace nap time and fall asleep as well! Even when my daughter, Avarie, was a baby I still wouldn’t take a nap. Everyone told me nap when she naps, but I never wanted to sleep unless it was at night. Now I know the preciousness of a nap! 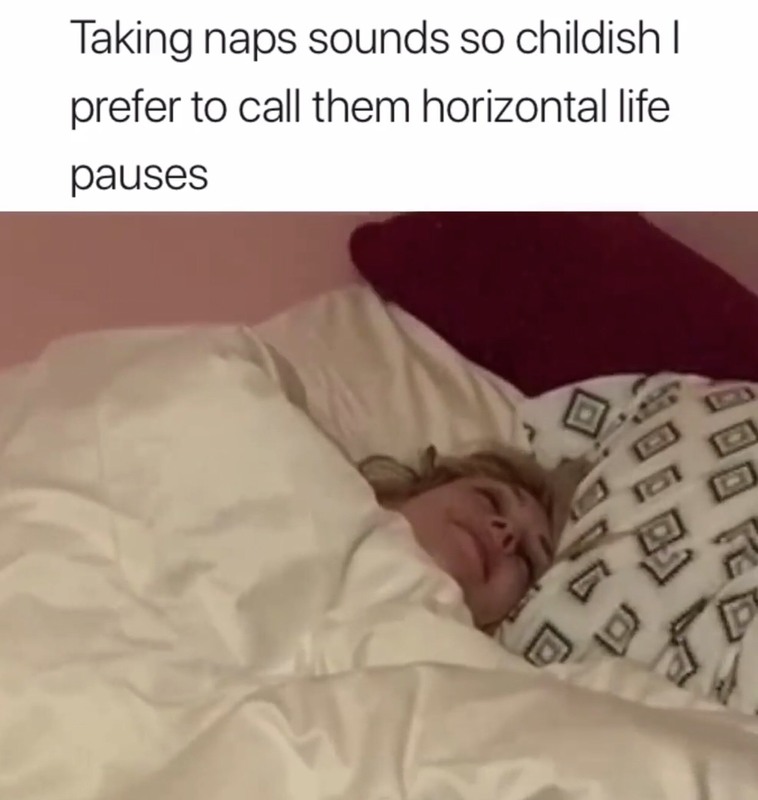 What other moms just give in and settle in for a nap during the day? Or maybe you use that nap time to work on the house or do a hobby you have! How nice is your quiet time and how do you spend that time?